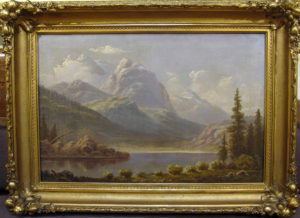 William Marple came to California as a forty-niner and lived in Placerville until about 1866 when he moved to San Francisco and started exhibiting paintings of California scenery. 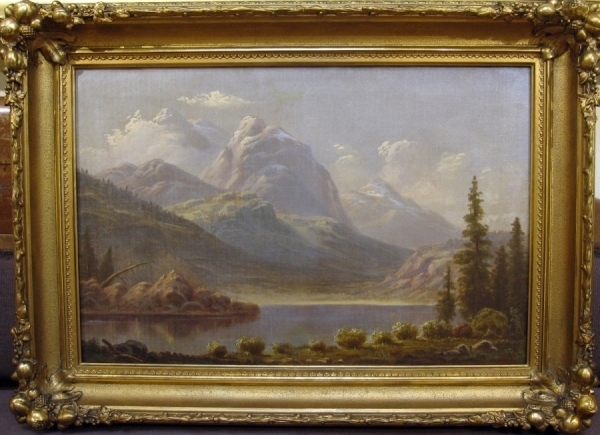 In his early career, Marple was a painter in the Hudson River school aesthetic, executing highly detailed renditions of real places given a romantic enhancement by the treatment of the light. After a trip to Germany and France in 1869, some of his landscapes took on traits of the French Barbizon style, but he never abandoned his propensity to paint in the American way. In 1871, San Francisco art critics praised his “soft, warm colors” (S.F. Call, May 19) and “the quiet, dreamy handling” reminiscent of the works of Sanford Robinson Gifford. (S.F. Chronicle, August 15, 1871).